Only there for short stay en route to home....but location was perfect (downtown, and not too far from airport), reception was friendly, and room was very comfortable. Lazing by pool was quiet and relaxing. 1. The Room Reservations Department was not helpful and it was confusing. 2. Take long time than what it should take for check in. 3. There is no signs lead you to the swimming pool. 4. There is annoyance from other guests during their celebration in the park. We stayed at d 2 room apartment. The rooms were spacious, comfortable with living, dining, big kitchen with washing machine n 2 bathrooms n a toilet. They cleaned d rooms everyday n left new towels with endless water bottles. Everthing was perfect with free wifi n all but our room was on d 1st floor so we couldn't get to see d Dubai Mall view but only d under construction highway view. The showers also not very strong. Location was great, just walking distance to Dubai Mall. Need to cross 8 lanes road only. Very pleased with picking this hotel. We actually were in the residence section, and had a 2 bedroom unit. Very spacious and the bed incredibly comfortable. We didn't have breakfast included, which ended up being a positive. For what they charge for the buffet, I thought there would be lobster and champagne, but on inspection it was pretty boring and ordinary. Anyways lots of laid back joints around the hotel to eat, and they won't dent your wallet, compared to the prices in the hotel restaurant. The staff were all fantastic, as was the residence swimming pool. Location was sensational, and my wife and I will stay here again on future trips to Dubai. Had a pleasant stay with my family, suite is comfortable and breakfast is delicious, swimming pool was clean and enjoyable by my kids. 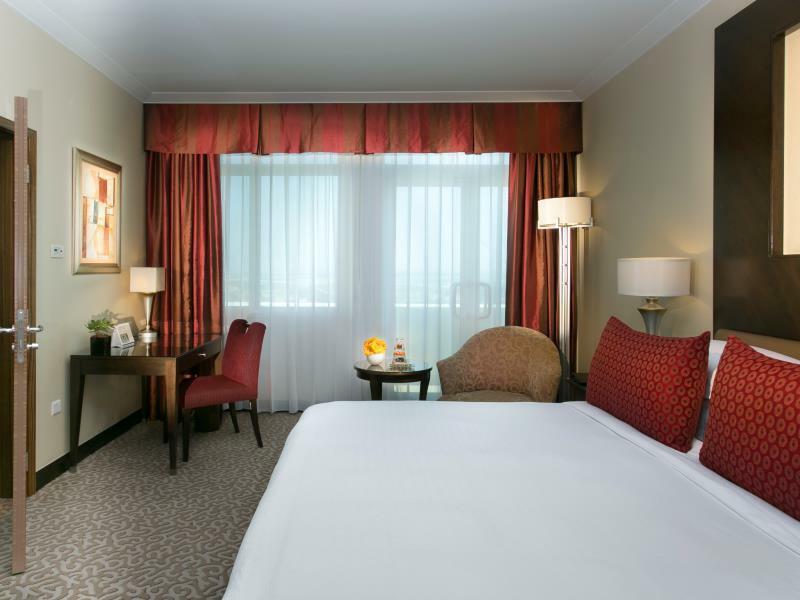 the location of the hotel is excellent since it is opposite to Dubai Mall. The only thing i would ask for is to have kids club for the kids. a special thanks to Mr. Emad the manager whom i recommend to contact if you need anything to be done fast and more than you expect. This is not my first time and sure not last. As Duty Manager Mr. Emad is always welcoming us with great hospitality. The hotel itself is an ideal place to enjoy a repeatedly Family weekend. the suite we always stay is big and clean and very comfortable. the swimming pool is enjoyable by my kids. I love their breakfast buffet, it is so yummy and many variety in it. I totally recommend A++++++. The hotel is part of a large complex. It claims a 5 stars status but should be more likened to an average 4 stars, particularly in this region where the standards are usually very high. The overall feel is that it is starting to be a little tired, that most probably explains the price difference with the other properties around the same area. The staff are really nice and helpful and the location is excellent as walking distance from the Burj Kalifah and Dubai Mall complex. 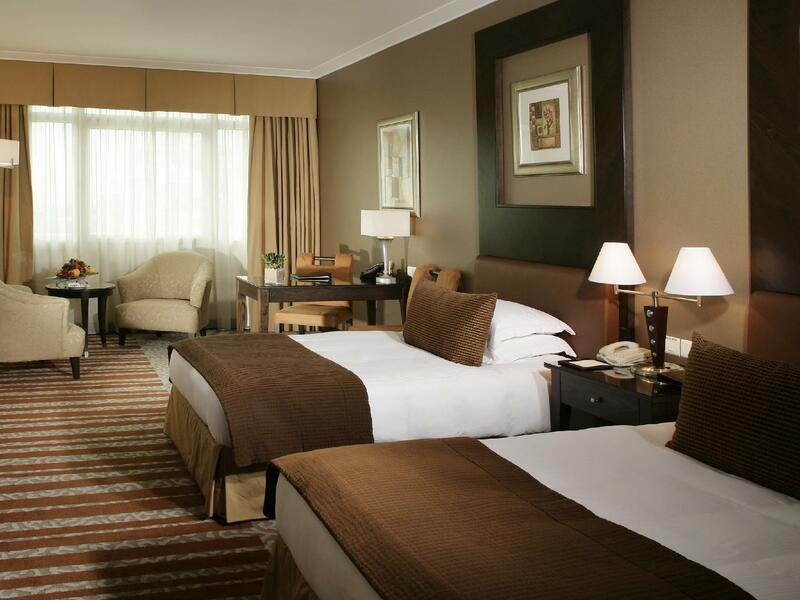 I stayed there while transiting in Dubai and it was great value for money for that purpose. I would not stay there for a longer stint as I would then look for something a little more "updated". Excellent stay and very helpful staff esp Qasim who ensured our room was clean and tidy each day. Nice meal options and great pool. Very good location.There is the AlMaya Supermarket 24hrs. just walk 3 min. Near Dubai Mall can walk around 15min. Clean and comfortable .Large room . 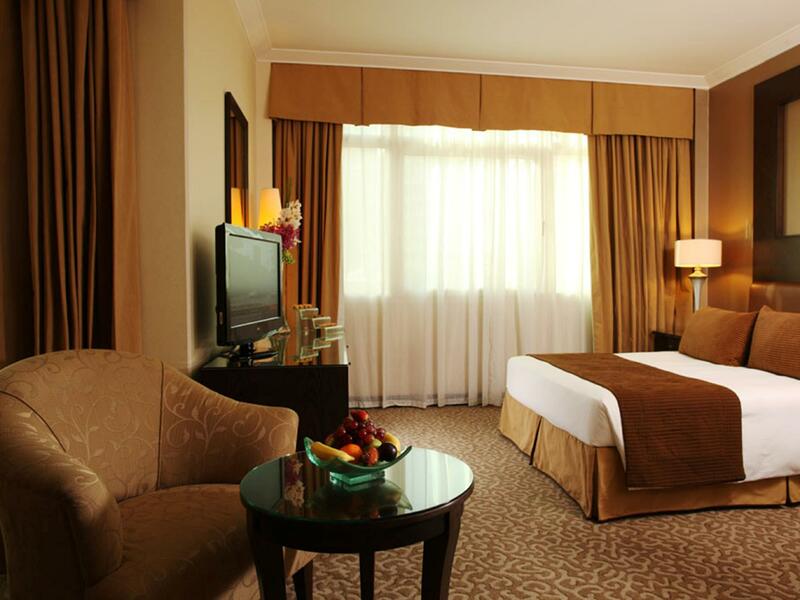 The location is definetly a plus point, the hotel is a short walk from dubai mall and burj khalifa. Other attractions like global village, jumeirah and mirical gardens are easily accessible by a taxi ride (there are many more that we simply could not visit due to time constraints). The staff are very helpful and do go above and beyond to ensure your stay is comfortable. If you have any problems all you need to do is ask any staff member and they are more than happy to help. My only difficulty was trying to move around the hotel with a pram and child. There seems to be no step free acess to get to the pools and the rest of the resort. Alot of the time we had to walk around to the front of the hotel entrance to access these areas, which was awkward with young children as it meant walking around non-pedestrianised areas right next to moving traffic. The other concern is how difficult it seemed to be to find the family pool area named the "club house". It is a maze to say the least! 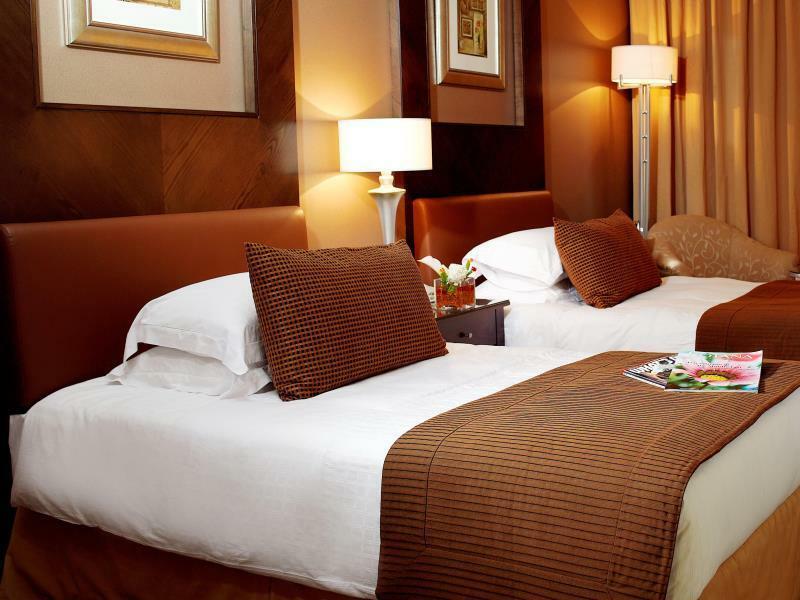 Good hotel located just across the road from Dubai Mall. The hotel staff were very service originated and very attentive to your needs. I recommend staying in the executive room having access to the club floor. During my stay only 3 to 4 persons were there daily for breakfast and evening cocktails. The atmosphere in the club lounge is great for relaxing. There are small eateries along the side of the hotel with a 24 hour supermarket and a pharmacy. Wish they had a complimentary bus. The staff are very helpful and accommodating. I especially liked Lalit in the restaurant. The place is clean and really very central. We enjoyed our stay and would certainly stay again. We had A good time here. The bfast has a variety of things to select from. The workers are willing to help and provide what you need. One thing I hate is the lack of complimentary shuttle to Nywhere except the beach I was told. Who wants to go to Roda beach when it’s so hot? We wanted the bus to the malls and yes the beach too like other hotels do! That right there was a big let down and earned them 4 stars instead of 5. We stayed in a 2 bedrooms apartment. The apartment is huge and reasonably clean. For this location (opposite the Dubai Mall), it's really value for money. Though it's not a very new place, You have to manage your expectation, for a downtown plc and a value price, you can't ask for more. There are some new hotels around the mall but the price is much higher and the rooms are smaller too. If you are travelling with family the size of the apartment is really ideal. For your info, Roda Al Murooj has a hotel building next to the apartment. My review is based on the apartment side. (no sure about the hotel room) Buffet breakfast is served at the main hotel building. The spread is quite good. Had a very pleasent 5 nights stay at Roda. We opted for a twin bedroom (2 adults, 2 kids) and got an additional bed. We had a fantastic stay at the hotel. Daily cleaning, attentive, ever courteous staff and the best location one can ask for right across Dubai Mall, Burj Khalifa and a short walk to Metro. Great buffet breakfast, lovely staff but very noisy room facing the street/traffic. there are 2 pools: one is freezing and the other is warm but not serviced and used by apartment guest - it is very difficult to first find your way to this pool as you have to go down, inside gym area and outside again to get to the pool. สถานีรถไฟใต้ดิน Financial Center - ระยะ 0.97 กม.